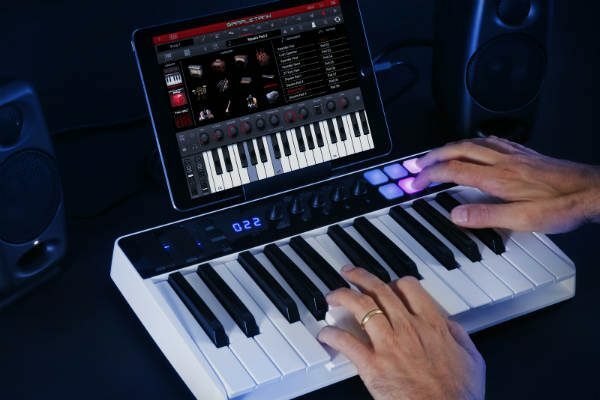 The iRig Keys I/O production station from IK Multimedia is a music controller that is available in either a 25 or 49 key version. This ultra portable music production station is compatible with iOS, Mac, and PC and features 24-bit audio with up to a 96kHz sampling rate, a combo input jack for line in, instrument or mic input, balanced stereo output and a high quality 1/8″ headphone output. It also has velocity sensitive multi-colored pads, programmable touch-sensitive sliders, buttons, and knobs. 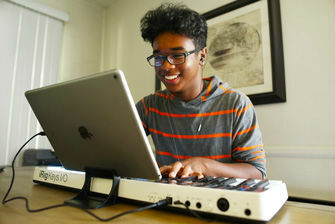 The iRig Keys I/O is certified Apple MFi hardware that offers plug and play setup for iPhone and iPad devices. It also works with popular digital audio workstation (DAW) software like Apple’s GarageBand, Logic, and more. The music station can be powered either by USB, an optional external power supply, or even with 4 AA batteries. iRig Keys I/O won’t be available until October 2017, but it can be pre-ordered now from the IK Multimedia online store. The 25 key version is priced at $199.99 and the larger 49 key version is $299.99.